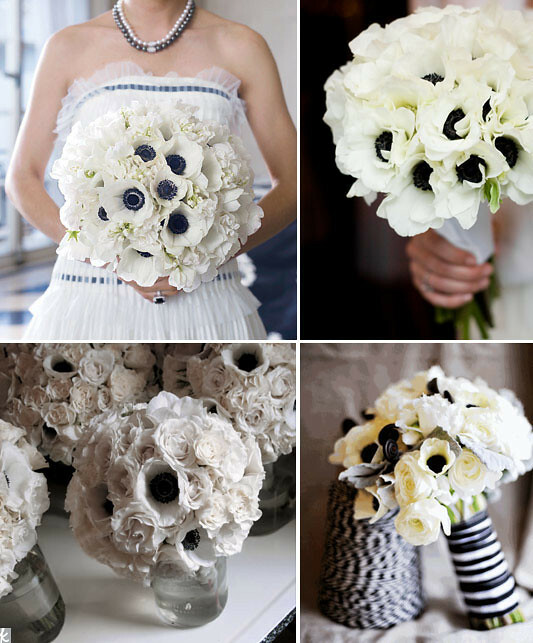 Looking for the perfect nautical wedding bouquet? How about anemones? Not only do they have an appropiately sea themed name they come in a gorgeous combination of white with black or dark blue centers - perfect!